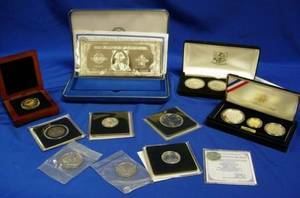 Each commemorative coin approved by The Royal Perth Yacht Club with "AMERICA'S CUP PERTH-AUSTRALIA" above sailing yacht "America" which raced and won against the British Royal Yahct Squadron around the Isle of Wight in 1851 on choppy sea above "1987"; verso with handled trophy surrounded by ring of dotting and "SAMOA I SISFO" and "FIVE OUNCES $25 999 SILVER". 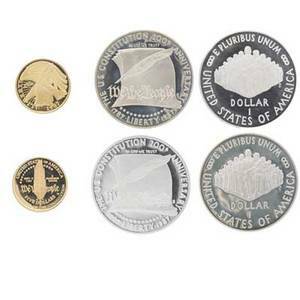 Each accompanied with a certificate of authencity (No. 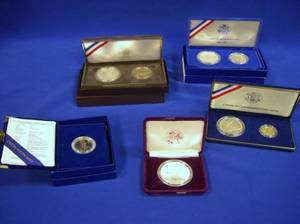 21222, 21224 & 21273) issued on January 31, 1987 from Yong Kuek Siong, General Manager of The Singapore Mint and Kolone Vaai, Financial Secretary of the Government of Western Samoa. 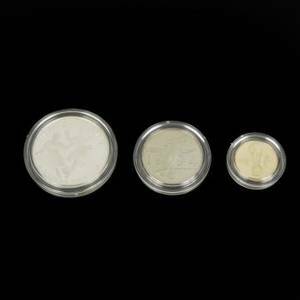 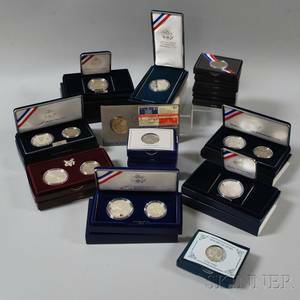 Diameter of coin 66 mm or approximately 2.75 inches. 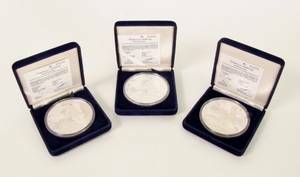 Each coin weighs 5 troy ounces of 999 silver. 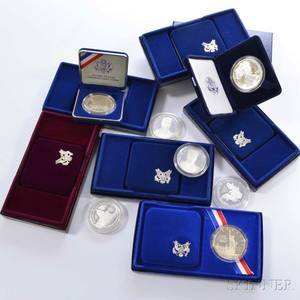 Each contained in matching navy blue velvet boxes with The Singapore Mint on white fabric interior. 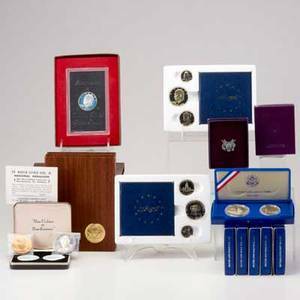 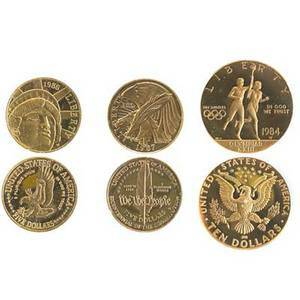 U.s. commemorative coins and bullion; 15 pcs: (2) 1987 proof silver american eagles, (6) 1986 proof liberty coin sets with silver $1 and 50c, etc. 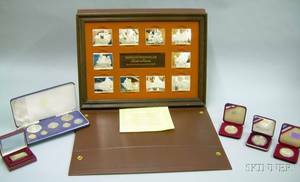 Five Queen Elizabeth II Commemorative Silver Coins and Three Prince of Wales and Lady Diana Spencer Commemorative Coins.